Social relationship platform Hootsuite, a Facebook Preferred Marketing Developer, announced Tuesday that it acquired social telephony company Zeetl and closed a $60 million financing round. 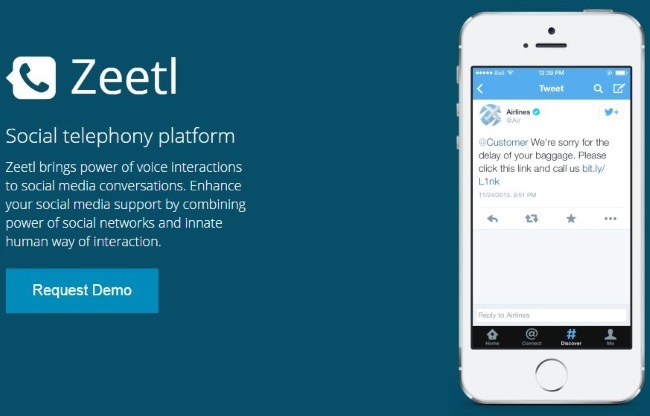 Hootsuite said its acquisition of Zeetl will allow it to integrate new voice technology into its social relationship platform, adding another tool to its arsenal for customer-service teams. As for the financing round, Hootsuite said it was led by “a large Boston-based asset manager,” with participation from existing investors Accel Partners, Insight Venture Partners and OMERS Ventures, as well as technology lender Silicon Valley Bank. Total financing to date for Hootsuite is now $250 million. This financing will help us scale even faster on a global level and bring the most innovative products to market. The strong commitment from investors during this time of amazing growth marks an exciting milestone for Hootsuite. Acquisitions form an important part of our growth strategy. We’re expecting big things from the brilliant team at Zeetl and Brightkit and are looking forward to getting this technology into the hands of our customers.